Reveal the Variations Paris Macaron sweetness with a hint of milk. 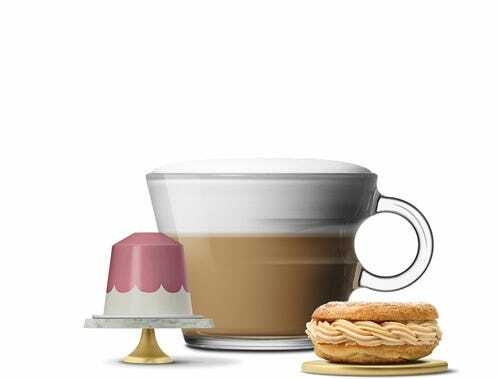 Enhance the caramel and praliné notes of Variations Paris Praliné with a creamy Cappuccino. Flavoured coffees. Do not contain pieces of the depicted food. Product as sold does not contain any milk ingredients. Be inspired by a selection of our unique coffee assortments. I wanted to add a hint of reverie. Offering delight capsules for the eyes to relish and then fly away in each and everyone’s imagination. 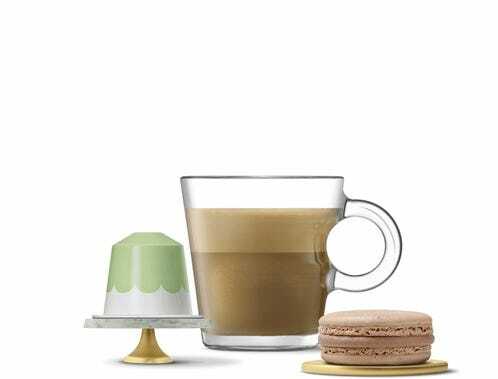 In partnership with renowned interior designer, India Mahdavi, celebrate this festive season with the launch of our Parisian Gourmandise inspired Limited Edition festive collection, from delicious Variations coffees to a range of stunning accessories. 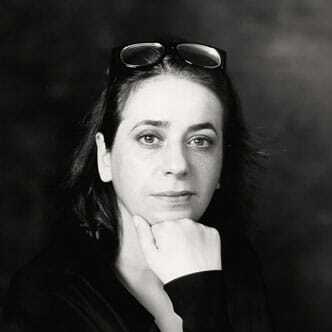 Based in Paris, India Mahdavi has created some of the world’s most iconic modern spaces including The Gallery at Sketch in London, Jean François Piège in Paris and APT in New York, her work is now synonym with elegant design imbued with rich colour palettes. A collaboration representative of India’s signature style with soft edges and a touch of luxury.